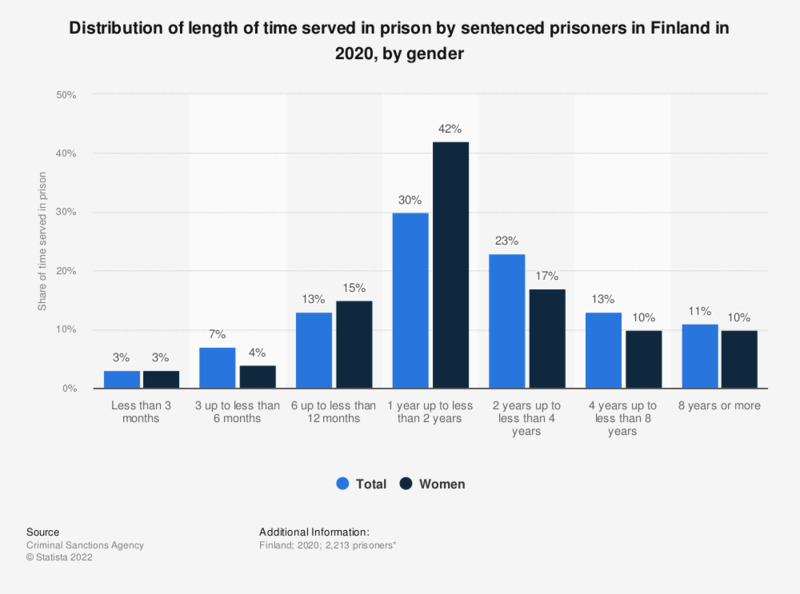 This statistic shows the shares of the length of time served in prison by sentenced prisoners in Finland in 2017, broken down by gender. During the period under survey, 17 percent of sentenced female prisoners served over six months and less than twelve months in prison. Data consists of 2,385 sentenced prisoners, of whom 179 were women.